From april to june 2011 i grew grass on a persian rug in my art studio. 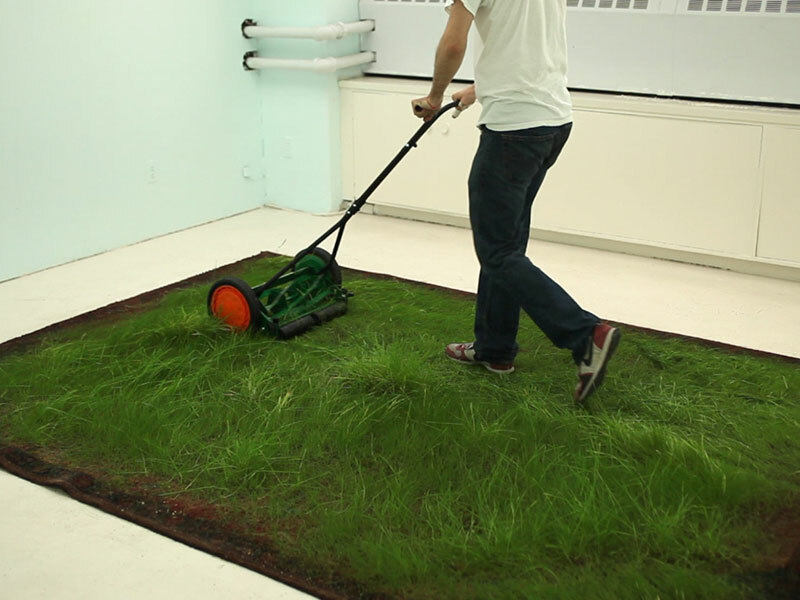 The artist used a traditional persian rug as a plot on which to grow grass in his studio in New York. As a highly venerated cultural item, the rug has been repurposed for something that, while no less cultural, is certainly more banal. With little of the beauty of nature to be found in a highly cultivated, rectangular plot of grass in a bare, white studio, the artist’s role here resembles the futile act of caring for and tending to something (the grass had to be watered and mown) that will ultimately die.